The deadline to register for 2019 T-Ball and Coach Pitch has been extended to April 7, 2019! 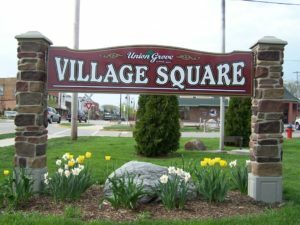 Fill out a registration form and submit it to the Village of Union Grove, 925 15th Ave., Union Grove, WI 53182. If the office is closed, use the dropbox near the entrance. Note that the late registration fee applies ($60 for T-Ball and $75 for Coach Pitch). If you have any questions, contact Village Hall at 262-878-1818.